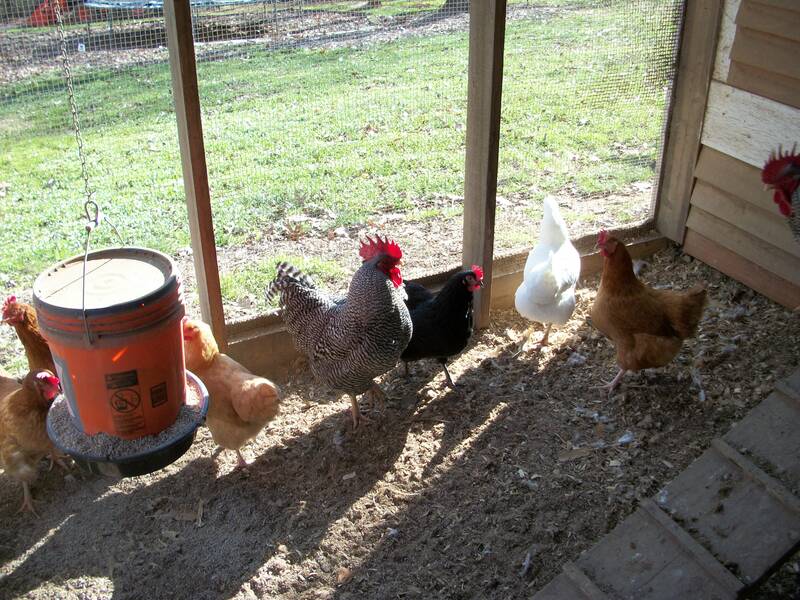 Alarm Clocks and Roosters–What do they really have in common? 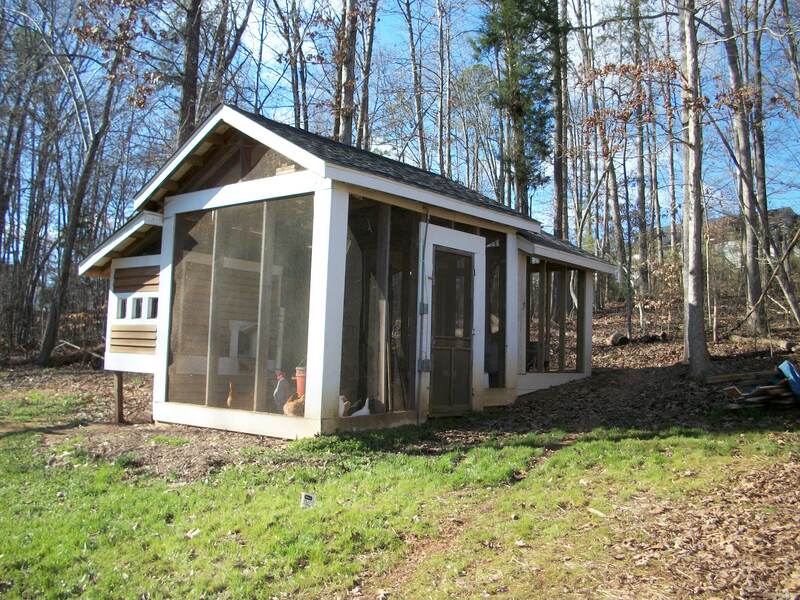 | Living the Good Life in Gaston County! One of my good life resolutions was to kill the alarm clock and never set it again to wake me early in the morning. I go to bed late (which is really nothing new) and then I wake when my body says it is time to get up. Most mornings that is still 7am no matter what time I went to bed. We have raised chickens in our backyard for almost 3 years now. They live in what my friends call The Chicken Condo. NOTE: I tend to overdo most of my building projects. If you know anything about egg laying hens, they tend to stop laying the older they get. The winter of 2010/2011 we found this to be true as we went from a dozen or so eggs a day to less than 3 a day. In June we decided to once again mail order chicks. Stop what you are thinking—this has nothing to do with mail order brides! Our little chicks arrived safely at the local post office and we picked them up in late June. We ordered 20 hens and expected to receive what we did the first time we ordered hens 3 years ago….all hens. To our surprise in late August we started hearing a weak Cockle Doodle Doo!! By September, the Cockle Doodle Doo was getting stronger, then all of a sudden there were two. No,three. You heard me right–we have 3 roosters!! 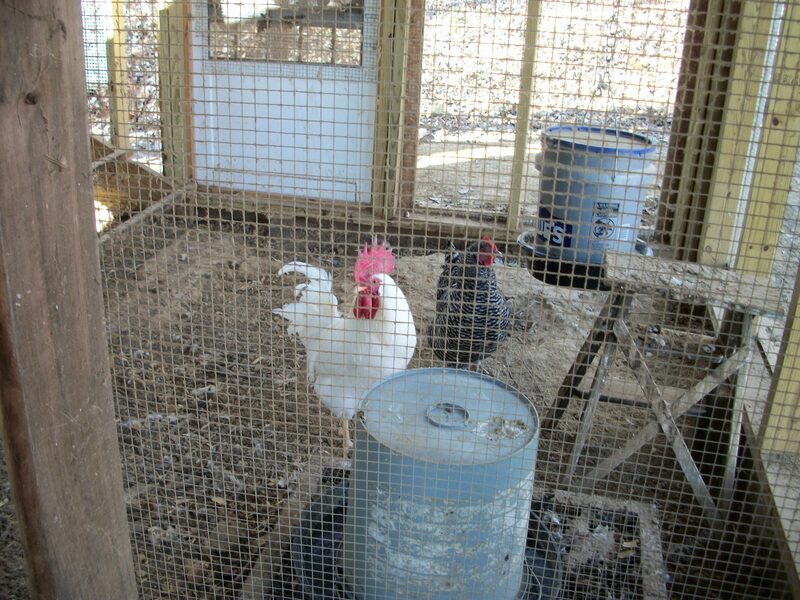 Now I still consider myself a beginning chicken farmer, however, I always thought roosters crowed early in the morning. Over the last 3 months our roosters have crowed all day and all night!! No kidding….all night. They even have crowing competitions with the roosters across the creek from us to see who can crow the loudest and longest. Who knew? So today I say farewell to the alarm clock and good morning to the rooster clock. Now, how do I turn those darn roosters off again? ?